Buried Location / Memorial (P.O.W., D.O.W., K.I.A.) : SPRINGVALE BOTANICAL CEMETERY, VICTORIA, AUSTRALIA. W STEWART LAWN. LAWN & LAWN BEAM. ROW R GRAVE 09. Background : At enlistment : married. At discharge : height 5 feet 9 inches, blue eyes, medium complexion, grey hair. Marital status : married. Marks / scars : Operation scar abdomen & scar left leg. Full time war service : A.I.F. 12/08/1940 to 28/02/1946 which included 2027 days active service (151 days within Australia & 1638 days overseas). Operational service : Middle East & Java areas, embarked from Australia 07/04/1941, disembarked in Australia 30/09/1945. War badge no. 291689. Discharge certificate no. 495422. He contracted malaria and suffered from beriberi. Also, developed a hernia from shovelling silver & rubber off wharves in Singapore after Allied air attack melted materials on the wharf. Marion Veal enlisted in W.A.A.F. in 1942 after fall of Singapore & became a Sergeant. Funeral service 04/07/1983. 12/08/1940 Taken on strength Recruit Reception Depot Royal Park, Victoria. 30/08/1940 Posted to 2/2 Pioneer Battalion. 17/04/1941 Embarked Sydney, New South Wales on H.M.S. Queen Mary (H.M.T. N.N.). 30/05/1941 Disembarked Port Tewfik, Suez. 22/10/1941 Evacuated to 2/1 Field Ambulance Main Dressing Station with Sandfly fever? / Malaria? and transferred to X list. 25/10/1941 Evacuated from 2/1 Field Ambulance Main Dressing Station to 2/1 Casualty Clearing Station with Malaria. 03/11/1941 Evacuated from 2/1 Casualty Clearing Station to 1 Australian Corps Rest Station. 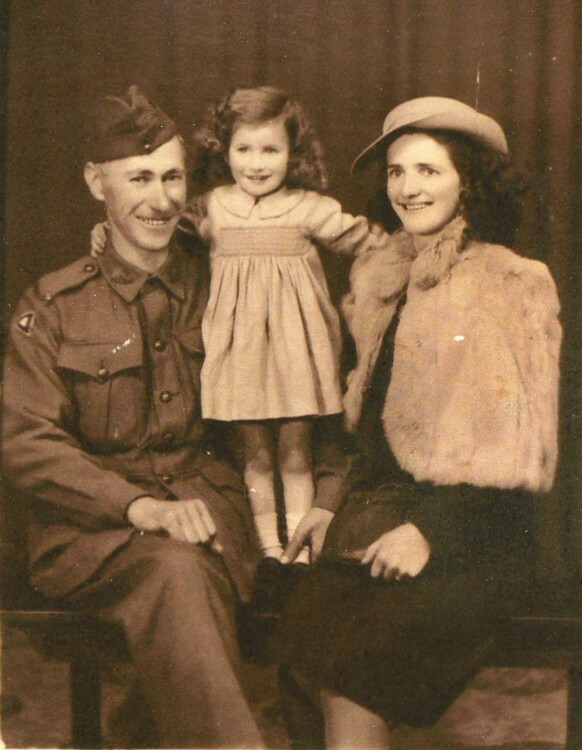 20/11/1941 Discharged from 1 Australian Corps Rest Station. 22/11/1941 Rejoined unit & struck off X list. 30/11/1941 Evacuated to 2/1 Field Ambulance Main Dressing Station with Malaria and transferred to X list. 22/12/1941 Discharged from 2/1 Field Ambulance Main Dressing Station. 22/12/1941 Rejoined unit & struck off X list. 31/01/1942 Embarked Port Tewfik, Suez on S.S. Orcades. 07/03/1942 Reported missing in action. 30/04/1942 Reported missing in action & transferred to X list. 01/10/1942 Reported missing in action now believed prisoner of war. 28/07/1943 Reported interned in prisoner of war camp (Java). 05/09/1945 Recovered Changi camp, Singapore. 15/09/1945 Embarked Singapore on hospital ship S.S. Oranje. 30/09/1945 Admitted 115 Australian General Hospital, Heidelberg, Melbourne, Victoria. 10/12/1945 Discharged 115 Australian General Hospital, Heidelberg, Melbourne, Victoria to Stonnington Convalescent Hospital, Victoria with sinus in hernial scar & haemmorhoids. 18/12/1945 Discharged Convalescent Hospital to General Details Depot. 18/01/1946 Evacuated to 115 Australian General Hospital, Heidelberg, Melbourne, Victoria. 22/02/1946 Discharged to General Details Depot. 27/02/1946 Marched out to Details Depot.